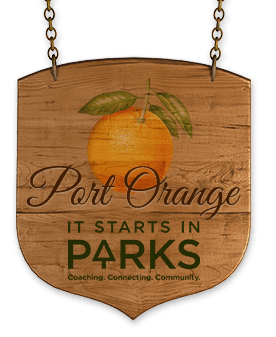 Port Orange hosts some amazing events throughout the year, so put on your party pants, and get ready for fun! There’s the Port Orange Spring Fair and Craft Show – a four day family festival that takes place every March. In April, there is the Port Orange Art Fest – a two-day celebration of the arts, and the Port Orange Lakeside Jazz Festival, where over 85 jazz bands will perform. And don’t miss Port Orange Fun Days in October this year, because there will be pony rides, clowns, live music, carnival rides and games, food vendors and more! If you love nature, you can watch butterflies and learn about the local flora and fauna on a self-guided tour of Sugar Mill Botanical Gardens. Rent kayaks, canoes, water bikes or take a boat tour down Cracker Creek, a beautiful nature and wildlife area. Not far from Cracker Creek is the Gamble Place Historic District, where you can take an historic tour of the Gamble family hunting/fishing cottage and property. It’s a terrific spot for a family picnic. Buschman Park and Spruce Creek Park are nice for children, dogs and nature lovers and great for walking and biking. Enjoy a live performance or a free movie at the Kenneth Parker Amphitheater. There’s some great golfing at an array of challenging courses and fishing charters galore. Restaurants in Port Orange are also remarkable. Try Aunt Catfish’s on the River for the best riverfront dining or watch the sunset at Boondocks, a quaint waterfront restaurant and bar nestled along the Halifax River. Then shop till you drop at the Pavilion at Port Orange – full of stores galore, more great dining options and a state-of-the-art movie theater showing 14 movies at any given time. Gulf Atlantic Vehicles is proud to serve Port Orange and the surrounding area. Feel free to visit our convenient New Smyrna Beach location on Pioneer Trail to browse our vast inventory of top quality golf cars and golf cart accessories.